Stroll in for your morning coffe. Stay for a delicious breakfast. Come back for a mouthwatering lunch. Marshall and Roberta make you feel like family. Free Wi-Fi. Closed Tuesdays. This is a charming 1000 sq ft cottage with bay breezes. You are a 600 foot walk to the bay beach and a few blocks to the restaurants, shops, harbor, fishing pier, theater and marina. This is the quiet end of town and the yard is fenced in so pets are considered. 3 bedrooms, 1 downstairs with queen bed, 2 upstairs bedrooms, one with two twin beds and the other with one twin bed. 1 bathroom downstairs with tub/shower combo. Comfortable airy living room. Small well-equipped kitchen and separate dining room. Utility room with washer/dryer. The steps to the second floor are on the steep side. Elderly or very small children should be monitored. Gas grill and 2 person kayak in yard. Wifi Internet/DishTV/DVD/CD. Romantic, cozy and clean. On street parking for car and boat. Charter a fishing boat or walk to the pier and fish for free. Sunsets are spectacular down on the beach. The house is on the north end of the beach, and we love watching the seagulls and pelicans and other shore birds perching on the pilings from the old ferry dock. Wonderful accommodations at an affordable price. 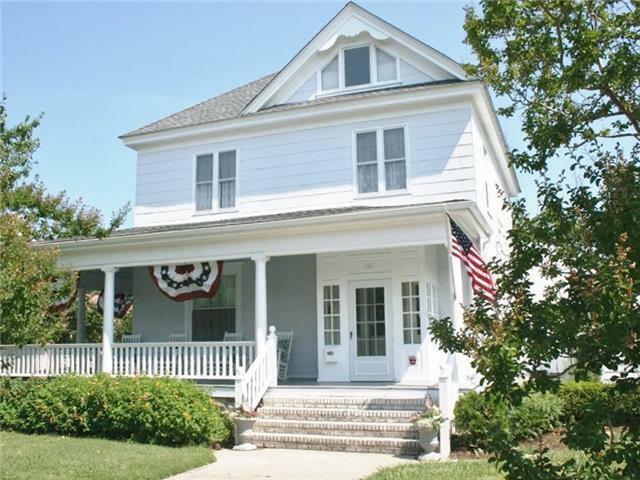 Just 6 1/2 blocks to the beach, this comfortable cottage is located in the Historic town of Cape Charles. 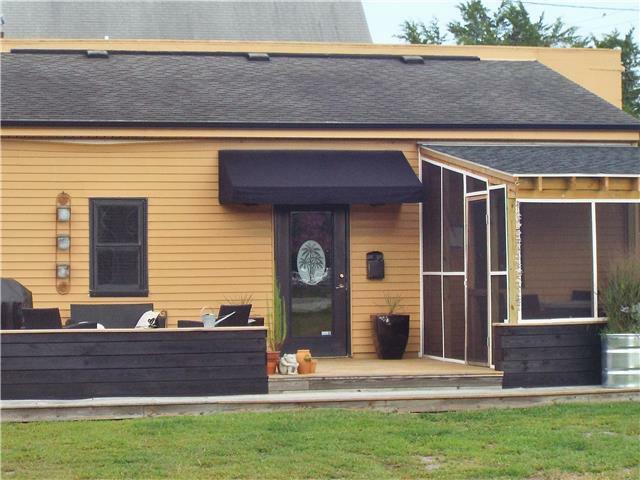 Offering 3 bedrooms and 2 full baths, this home can sleep 6 comfortably. A fully equipped kitchen and laundry room add to the convenience of your stay. Walking or biking distance to the beautiful town beach, marina, shopping and restaurants. Rent a golf cart to get around town. Cape Charles is Golf cart friendly. Back alley access for your boat or RV. We offer concierge services and will be glad to assist you with dining reservations, golf cart, kayak and bike rentals as well as bookings for fishing and sailing charters and guided kayak tours. Feel free to call us about any of your needs. The most affordable BEACHFRONT vacation rental in Cape Charles/200 FEET FROM THE BEACH with access walkway over the dunes sits BAY COTTAGE. Step out the front door and be on the white sand beach in less than a minute. The Cottage sleeps 8 with 3 bedrooms and two baths plus a queen size sofa bed in the living room. The Living Room and Sunroom face the Bay with spectacular sunsets. The dining room seats 6+ and is conveniently located off the modern kitchen. A large patio offers comfortable outdoor seating with a full size gas grill. The property offers off street parking for your convenience. Bedrooms 1 and 2 offer queen beds and bedroom 3 offers two twin beds. As mentioned, there is a queen size sofa bed in the living room and a portable pack and play. The cottage works well for a family or a group of friends to spend a beach vacation in a charming town where everything is within walking distance. 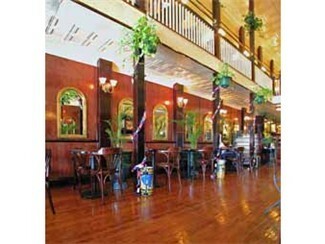 Cape Charles offers an array of dining and shopping. Charter fishing, kayaking and eco tours let you experience the amazing ecosystem this area offers. Bring your boat and launch off the public boat ramps of Cape Charles, Kiptopeake or Oyster. Rent a golf cart while you’re here as Cape Charles is golf cart friendly. If you feel like venturing out of town, Cape Charles is conveniently located for great day trips to Chincoteague, Virginia Beach, Busch Gardens and Williamsburg. Come back and watch the most amazing sunsets right out your front door! Nestled among tall pines, Bayview Point is a contemporary French Provincial with more than the comforts of home. Large enough for your family and a few friends too! From the fabulous great room with it’s soaring ceiling and walls of glass to the impressive gourmet kitchen with granite counter tops and all the tools available to create your favorite dishes. The first floor Master Bedroom is a private oasis featuring a King size bed, Master bath and comfortable sitting area to read the latest best seller. Let the kids enjoy their own space right off the great room with enough seating for 8 and large flat screen TV. There are 4 bedrooms on the second level. The second floor King bedroom offers an adjoining room with a trundle bed and its own mini kitchen. Make a pot of your favorite coffee and walk onto the covered balcony overlooking the bay. The 3 additional bedrooms and 2 full bathrooms complete the accommodations. The house also offers access to the community pool located within Bay Ridge. In the heart of downtown Cape Charles, a modern loft style apartment with all the comforts of a 4 star hotel suite! The best part is this property is DOG FRIENDLY! Upon entering, you’ll see the amazing job the owners did in designing the space. The living room, dining room and kitchen flow into one another without being the least bit crowded. A must have screened in porch was added this year. The window in the kitchen can be opened as a pass thru so you may enjoy an outdoor meal or simply drinks at the end of the day. The Master Bedroom offers a King size bed and vanity area. The Master Bathroom with an enormous walk in shower, separate water closet and oversized walk in closet lies just off the bedroom. As a bonus, there is a multi purpose room. The vintage work desk is large enough to spread out a laptop and files (if you must bring work with you). The laundry area is also located here for your convenience. In looking at the photo’s, this does not look like a laundry room. Again, the owners have put quite a lot of thought into the design. The property offers plenty of parking. If you have a boat or motor home, there is room enough for both! A public boat ramp is available at the town harbor with direct access to the Chesapeake Bay. 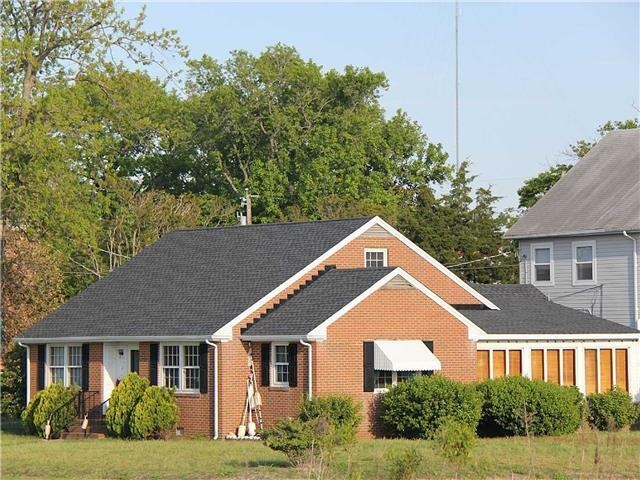 Cape Charles is conveniently located at the southern most point on the Eastern Shore of Virginia. There are a number of restaurants, bars, ice cream shops, unique shops, bait and tackle, library, pharmacy, doctor’s office, hardware store. Food stores and additional restaurants are a 2 mile trip to the highway. If you want to explore more of the area, Cape Charles is poised for day trips to Chincoteague to see the wild ponies and ocean, Williamsburg and Busch Gardens to name a few. 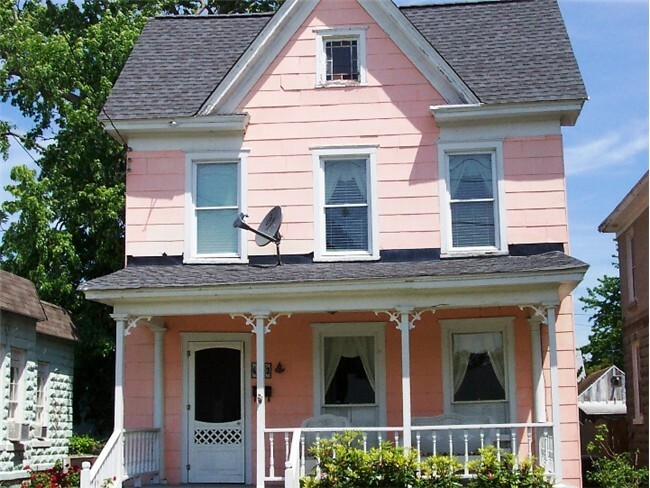 Chesapeake Dream – Restored Victorian 1 Block to the Town Beach! You must enter the dates of your requested stay in order to get correct pricing. If you do not enter your dates, the prices shown do not include taxes and fees that are charged on a per stay basis. Recently bought and already a showpiece. The owners have furnished their home with the comfort of their guests in mind. 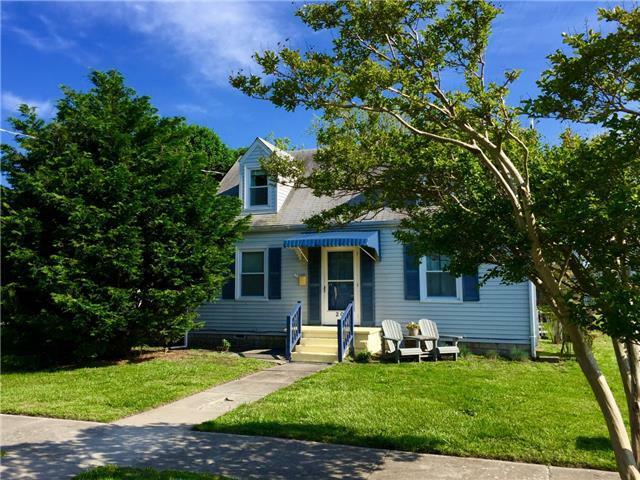 Located a short 1 block to the beautiful Cape Charles town beach, this home offers 4 bedrooms, 3.5 baths, office, 2 dining rooms, a spacious modern kitchen with plenty of prep area, a convenient laundry room off the kitchen and both side and back doors for convenience. The second level offers 3 spacious bedrooms and 2 full baths. The third level is a true hideaway. Great for kids and also wonderful for a parents retreat. Spacious and private with an en-suite full bath. Sit on the covered wrap around porch in comfortable rocking chairs and enjoy people watching, catching up on a good book or a midday nap. When your rested from a hard day at the beach, walk the two blocks into town for restaurants, shopping, homemade ice cream (so good!) and watching the sun set over the Bay. We celebrate sunsets, as one is more beautiful than the next. Cape Charles is golf cart friendly. Leave your car at the house and explore the town and Bay-Creek from your golf cart rental. From chartering a boat, to taking a guided kayak tour, horseback riding, winery tours, eco tours or antiquing , you’ll remember this vacation for years to come. Plenty of room and privacy in this extra-large luxury home in the desirable Bay Ridge community, steps from the best private beach on the Eastern Shore. Enjoy the Bay Ridge community, with private pool, covered picnic area and tennis courts. Most of our properties have 4 to 7 night minimums stays during peak season (June 18 to September 9). If you have a special need, don’t hesitate to contact us. This beachfront home is waiting for a large family to enjoy the 5 bedrooms plus Den, 5.5 bathrooms, spacious entertaining area and a large gourmet kitchen. 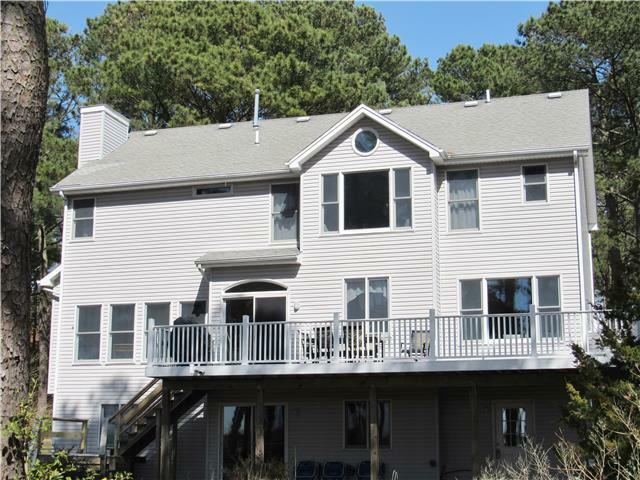 In addition, enjoy the expansive decks and screened in porch with views to the Bay. Walk to the end of the driveway and see the boardwalk leading to the communities private beach. Walk to the end of the block and enjoy the community pool. Take advantage of 2 convenient outdoor enclosed showers to shake the sand or chlorine off before entering the home. BayFront Escape- PRIVATE BEACH, COMMUNITY POOL & TENNIS STEPS FROM THE DOOR! 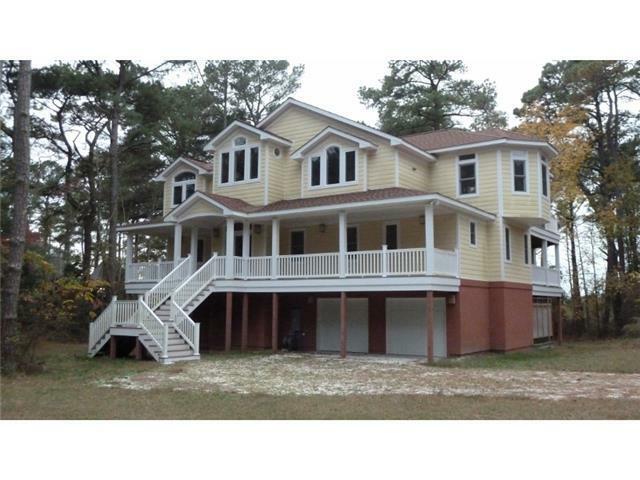 Beautiful beachfront home on 2+ acres with 185’ private beach on the Eastern Shore of VA, with water swimmable even at low tide. Private community with pool, tennis court, volleyball net and private lake. Short drive to world class golfing at Bay Creek, with both Palmer and Nicklaus Signature golf courses. Dolphins, pelicans, ospreys, and eagles often seen right from the beach. Take long beach walks, go beach combing, kayaking, crabbing, fishing, and birding. All of this can be done right from the beach and/or at many fabulous locations nearby. Kayak rentals and eco tours nearby. Near Kiptopeke State Park, offering nature programs and Eastern Shore Wildlife Refuge with nature trails and information center. Quaint town of Cape Charles nearby with town harbor, town pier, shopping and restaurants. Short drive to VA Beach Oceanfront. Easy day trip to Busch Gardens, Williamsburg, Jamestown, and Chincoteague. Cap each perfect day watching amazing sunsets from deck or beach. Enjoy, kayaking, paddle boarding and beach combing. Kayaks can be delivered to the home during your stay. 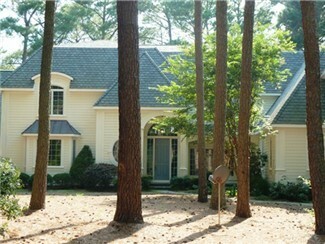 Special rates for Bay-Creek Golf courses are available with this home. This gorgeous, sunny home provides beautiful Chesapeake views from almost every room. Two spacious family rooms on the first floor each have a TV, books, games and comfortable seating, The fully equipped kitchen is perfect for entertaining and relaxing with friends and family. The kitchen is open to the dining room, family rooms and the expansive deck which overlooks the bay. The first floor bedroom offers a queen size bed and adjacent new full size bath with seaglass tiled shower. The second floor features a magnificent master bedroom with a sitting area where you awaken to mesmerizing views of the bay. There are two additional bedrooms, one with a queen bed and views of the bay and the fourth bedroom with twin bedding. A sleeping loft offers a comfortable queen size sleeper sofa and TV. The lower level offers a queen bed with a full bath and a spacious entertainment area with a large flat screen TV and an air hockey table. PLEASE ADHERE TO THE NO PET POLICY. IF YOU NEED TO MAKE ARRANGEMENTS FOR BOARDING, WE WILL BE HAPPY TO HELP. The One-Eighty is a brand new beach house located in the Bay Ridge area of Sandhill with direct access to the best beach in the Cape Charles area and includes pool and tennis court access. The home is nearing completion and will be available for rent immediately after Memorial Day Weekend. This luxuriously constructed home includes 4 bedrooms, three baths and sleeps 10. There are both first and second floor decks from which to enjoy the beautiful surroundings. With multiple TVs, WiFi and an outdoor shower, this is going to be a great place for families to spend a beach vacation with the town of Cape Charles with its shops and restaurants and Nicklaus and Palmer golf courses only 8 to 10 minutes away. DUNE BRIDGE – Breathtaking Bay Views From Almost Every Room. Front Row Seats at Sunset! 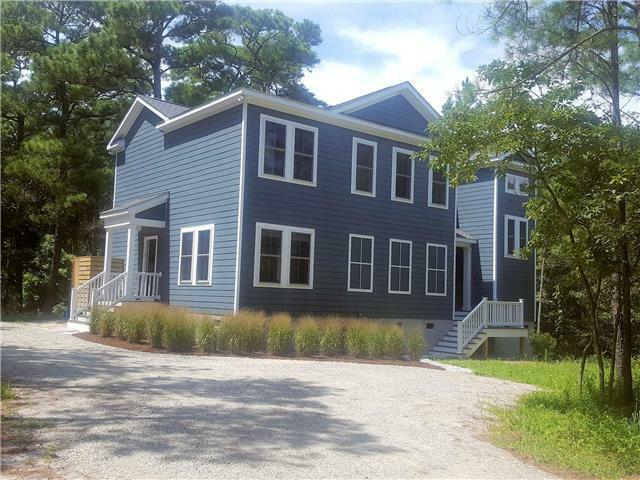 Cape Charles pristine beachfront custom built home with unobstructed views of the Chesapeake Bay and beyond located just south of town. Inside you will find 4 Bed Rooms and 4 Baths and over 4434 sq ft. The main floor has an open floor plan that faces toward the sunset with views across the 18 mile wide Bay. 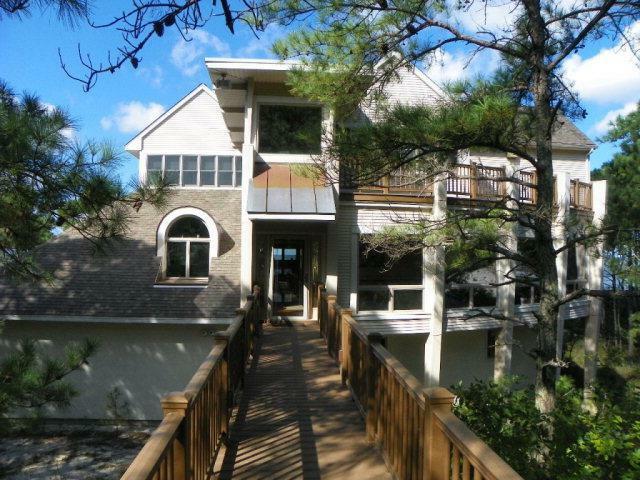 Just imagine the views you will enjoy from 2000 sq feet of decks that surround this magnificent home. The Master Suite takes up the entire 3rd floor with sweeping views of the Bay. The en-suite bath and sitting area with Queen sleeper sofa complete the Master Bedroom retreat. Heart pine and tile floors throughout. Located just steps from the wide powder white beach known locally as Sugar Hill and accessed by your own boardwalk. Equipped with a summer kitchen with direct access to the back yard. A large enclosed gazebo with electric and a raised deck by the beach are just a few of the amazing amenities you’ll find at Dune Bridge! A must place to visit as part of your stay in Cape Charles. One of the most painstakingly restored buildings in Historic Cape Charles and a great place for breakfast or lunch and some fabulous owner-made desserts and scones. Oh! Great coffee, too!